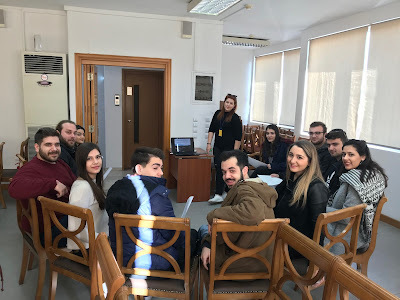 "Διώνη" : How far is modern Elis (Ileia) from Sustainability? How far is modern Elis (Ileia) from Sustainability? Attempting to respond to the question above, the 8 young people from Ileia who participated from 21 to 30 August 2017 in the youth exchange in Romania, in the framework of the project "Green Life for a Healthy Life", gathered in Pyrgos, the capital city of Elis county. The workshop took place in 4 January 2018 in the meeting hall of the Elis’ Chamber of Commerce and its objective was the dissemination of the conclusions and the gained knowledge of the project to the Greek youth of the region. The aim of the "Green Life for a Healthy Life" project was to record modern environmental issues at local level and to seek solutions through the use of renewable energy sources as an antidote to the destruction of the environment. 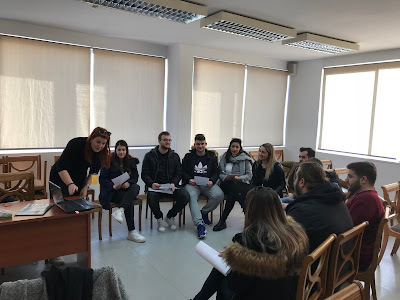 The “Green Life for a Healthy Life” project is implemented by The Green Teach Association (Candesti, Dambovita) and the local development centre “Dione” (Ancient Olympia, Elis), under the Erasmus+/ Key Action Learning Mobility of Individuals programme. Αναρτήθηκε από Dioni LDC στις 1/15/2018 03:41:00 μ.μ.